Blind, broken by the death of his wife and bitterly disappointed by the Restoration, Milton dictated his sweeping biblical epic Paradise Lost to a series of helpers. While the struggle between God and Satan rages across the cosmos, the human tragedy of Adam and Eve – the temptation and fall – is movingly depicted in language unsurpassed in its musicality and beauty. 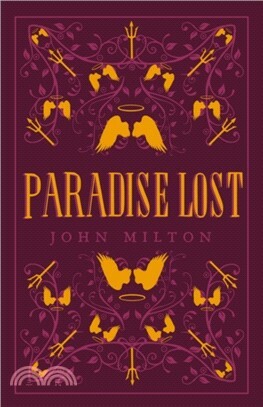 A staggering and audacious undertaking – seeking, in Milton's words, to “justify the ways of God to men” – Paradise Lost has been revered since its initial publication, inspiring writers from Mary Shelley to William Wordsworth, and is widely considered to be the greatest poem ever written in the English language. John Milton (1608–74) is best known for his epic masterpiece Paradise Lost and for his commitment to the republican cause. He wrote the crucial justifications for the trial and execution of King Charles I and was Secretary for Foreign Tongues, thus becoming the voice of the revolution. His influence on English literature can only be rivalled by Shakespeare.